This week’s headlines offer more evidence of collusion & obstruction…. The first group of links in the Related Articles below has reports on pardons floated by Trump’s then-lawyer which shows more evidence of obstruction, & the next group of links report on a direct tie between the Trump campaign & Russian intelligence which offers evidence of collusion. So the Russian investigation moves along & we keep learning about more of the puzzle pieces being put in place as it chugs along. The walls are closing in on Trump. Those reports released this week about offers of pardons & the Trump campaign’s direct known ties to Russian intelligence may have been a way of reminding us all the Mueller probe is finding substance, so it’s no time to even think about firing Mueller. Such a possible firing has been raised as a concern this week with Trump’s more aggressive barbs thrown in Mueller’s direction. See bipartisan-senate-duo-urge-trump-to-let-mueller-complete-work & also dems-to-top-doj-officials-publicly-promise-not-to-interfere-in. Mueller is also looking into the Trump campaign’s meeting with Russians in Cleveland at the RNC convention, & wanting to find out why the platform was changed to favor Russia: report-mueller-team-probing-gop-convention-related-issues. In other Trump news, Jeff Sessions refuses to hire a special counsel to investigate FISA practices, which could give Trump a reason to fire him: jeff-sessions-wont-appoint-a-second-special-counsel-for-now. If Trump were to fire Sessions or Rosenstein as a sign he’s coming after Mueller, I wouldn’t be surprised if Mueller handed down an indictment against Trump right away based on the evidence he has so far gathered, likely a charge of obstruction since that’s the most obvious offense so far: indict-president-trial. So the stream of info we do see coming out about the probe is like a shot against the bow, establishing with the public this scandal is real & is very serious business, showing the need to keep going until we get to the bottom of all that happened. A large majority of the public do want Mueller to complete his work: poll-majority-of-americans-believe-russian-election-meddling. Should crimes at the top ultimately be found, the appropriate punishment must be enforced, otherwise it would set a precedent for any American president to abuse his power by violating the rule of law. And the credibility of our electoral system & democratic process could be forever tarnished. And by the way, were Mueller to get fired, Trump’s presidency would effectively be over right then & there, as he would immediately delegitimize his presidency. In those latest big headlines I had mentioned, Trump lawyer John Dowd discussed possible pardons last summer with the lawyers for Flynn & Manafort: lawyer-raised-prospect-of-pardons-for-flynn-and-manafort-as-special-counsel-closed-in. There are multiple sources for that story so it looks as though those reports are true, as such a corrupt motive appears to be an attempt to interfere & influence the testimonies of those two key witnesses in front of Mueller. That’s likely why Manafort has been so steadfast in not cooperating: manafort-bets-on-presidential-pardon-in-special-counsel-case. The intent of granting pardon power to a president was never meant to be used to protect himself. This plays into a pattern of numerous episodes where Trump & his minions are hiding something, so it’s clearly more evidence of obstruction. Plus why are pardons even necessary if nobody was guilty? Just the overwhelming amount of lying & covering up we’ve seen over this entire Russian case for more than a year, are indicative Trump knows he’s in real trouble should the truth come out. 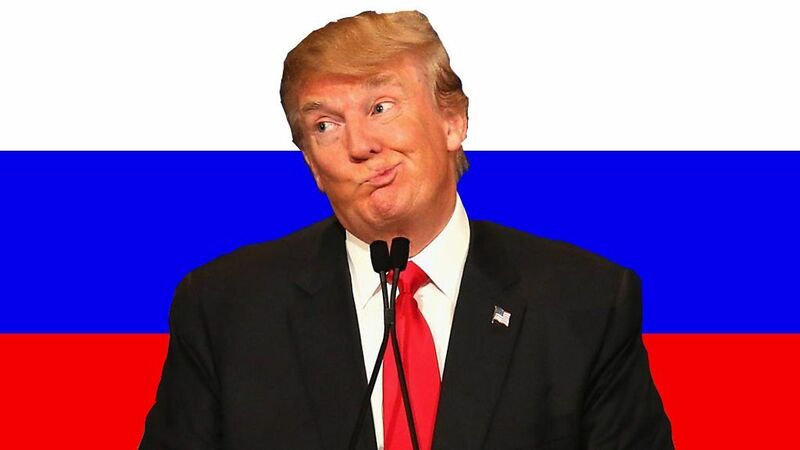 Throughout the campaign with so many Trump officials in regular contact with lots of Russians, the question we still need the answer to is….Why? Let’s talk about the alleged collusion between the Trump campaign and Russia-linked figures. The two sides had at least 70 publicly reported contacts in 2016, and two Trump aides have pleaded guilty to lying to the FBI about those communications. If there is an innocent explanation, what could it possibly be? Let’s talk about Trump’s assault on the rule of law. Trump fired FBI Director James B. Comey in order to stop the investigation of the “Russia thing,” and came close to firing special counsel Robert S. Mueller III and Attorney General Jeff Sessions for the same reason. More recently, former FBI deputy director Andrew McCabe was vilified by Trump and fired a day before he would be eligible to receive his pension. The public explanation is that McCabe “misled” investigators about his contacts with the press — but he denies the charge and says he was sacked “because of the role I played, the actions I took, and the events I witnessed in the aftermath of the firing of James Comey.” Now Trump is stepping up his false and malicious attacks on Mueller, raising concerns that he will try to fire the special counsel, thereby triggering the biggest constitutional crisis since Watergate. Let’s talk about Trump’s unwillingness to divest himself of his business holdings or to release his tax returns. What is he hiding? Are he and his family benefiting financially from the presidency? 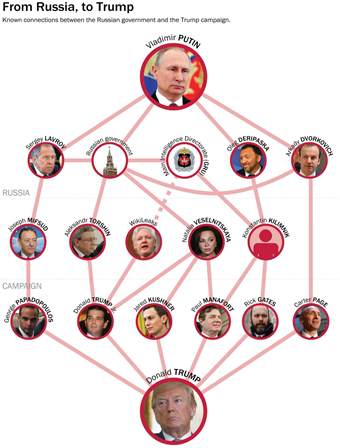 Do they have financial links to the Kremlin or other sordid sources of cash? Let’s talk about his son-in-law Jared Kushner’s failure to win a top-level security clearance after reports about his conflicts of interest. The Post has reported that officials in the United Arab Emirates, China, Israel and Mexico discussed how they could manipulate Kushner “by taking advantage of his complex business arrangements, financial difficulties, and lack of foreign-policy experience,” while the New York Times has reported that Kushner’s family company won hundreds of millions of dollars in financing from financiers that he met with at the White House. Let’s talk about the president’s pathological dishonesty. The Post reports that Trump makes an average of six false or misleading statements a day. Among the most recent statements, Trump denied that he was going to fire national security adviser H.R. McMaster or shake up his legal team before doing just that. In the group of links about Trump’s legal team, we see for the Russian case he’s operating with a very bare-bones & inexperienced staff of lawyers. The reasons we see from the articles why Trump is having such a hard time finding capable lawyers, it includes he doesn’t listen, is too much of a perjury risk, it’s bad for a law firm’s reputation & he’s been known to stiff lawyers on the bill: trump-lawyers-mueller-investigation-none-for-president. So it’s put him in a tough spot: trump-may-be-in-the-greatest-legal-jeopardy-of-his-presidency. It’s much like in some of the Related Articles further on down the list below, where he’s also having great difficulty finding & keeping competent White House staff. Trump isn’t draining the swamp, he’s feeding the swamp. His hire for the Veterans Administration of Ronny Jackson, his personal physician toady, looks like he has zero experience to run such a large agency: white-house-aides-privately-worried-about-trump-va-picks-lack-of. And the guy he replaced correctly had some parting shots: shulkin-after-firing-it-should-not-be-this-hard-to-serve-your. In another group of links, it’s hard to know what to think of this story since it’s hard to imagine North Korea voluntarily giving up their nukes. But the positive news out of China after meeting with Kim Jong-un, they say the North Korean leader is open to denuclearization: china-north-korea-denuclearize-kim-jong-un. If against all odds that becomes a reality after the coming scheduled talks with Trump, & we can somehow verify that North Korea really does de-nuke, that would truly be an enormously important development for the safety of the world. Could choking sanctions be choking off the North Korean economy to where Jong-un reasons his very survival could be at stake? It could be living in exile with a promise of a cushy life in a seaside resort might be looking better all the time. A denuclearized North Korea would alone make Trump’s legacy: us-northkorea-missiles-china/china-says-north-korea-pledges-denuclearization-during-friendly-visit. So in this past week we’ve seen China announce a possible breakthrough towards a Korean Peninsula without nukes, plus stating a willingness to negotiate fairer trade deals with America to ward off tariffs, which may not wind up in tangible results, but the recent news does seem to offer real hope. From a security standpoint North Korea is a big deal, & from an economic standpoint unfair trade deals are a big deal, so I’m not going soft on Trump so much as I’m just reacting to optimistic reports on problems that for a long time seemed insolvable. Should these outreaches indeed end in positive outcomes, China could be responsible for making the Trump presidency a success. We can only speculate why. Is China empowering Trump because they fear him & his unpredictable impulsiveness? I’ve often said the madman theory serves Trump well in this situation. Or does China view him as a clueless klutz who they can easily manipulate as they commandeer the power & influence throughout the world away from the U.S.? Maybe this North Korean deal is more of a set up by China & Trump is walking into their trap: did-china-just-side-with-north-korea-to-get-back-at-donald-trump-for-tariffs. In a utopian Trumpian-world, a de-nuked North Korea could embolden the Trump-Bolton team to also de-nuke Iran by any means possible. Expect the Iran-Obama agreement to be shredded, from which the bombing could commence if negotiations break down & we can accurately pinpoint where their nuclear facilities are. As unpleasant as those actions would be which could spark all-out war, I’m not saying such a bombing mission would necessarily be a bad thing. When we examine the other alternatives where a future nuclear Iran could shoot off missiles aimed at Israel or the United States, or smuggle nukes through terrorist organizations to set off in various places, plus the Saudi’s would be compelled to develop their own nukes & spark a nuclear arms race in the Middle East, that becomes a nightmare scenario the world could not realistically live with. So it’s much easier to deal with Iran soon, since once they do have nukes it will be too late. The doves among us would be shocked at such aggression towards Iran & it is fraught with enormous risks. Besides Israel & Saudi Arabia, we should also seek tacit approval from other nations, knowing Russia will be none too pleased. But if it’s deemed we can conduct successful air strikes by surgically targeting their nuclear sites, it’d be different than our engagements in Iraq & Afghanistan, where we wouldn’t pursue regime change, nation building & occupying for a decade. And if it’s determined a nuclear Iran is unacceptable, which I believe it would be untenable & unthinkable as to the repercussions, then I’d like to know if we stop short of bombings, does anyone have a better idea for preventing a nuclear Iran? As long as we’re on a roll with what could be only a fantasy dream, maybe this great momentum abroad carries over within our own borders, where Trump’s bull in a china shop approach doesn’t so much destroy our democratic institutions to set up authoritarian leadership, but instead destroys the stodgy political establishment & their self-interests. Perhaps Trump’s chaotic aggressive style sets a precedent for presidents to become more problem solvers instead of cautious caretakers, so the American people get a sense their leadership is truly working on their behalf, where politicos are no longer slaves to party ideologies influenced by big donors & special interests. It’s a bureaucracy that really needs shaken up as leaders have lately been mostly out of step with the people. I’ll believe it when I see it should any of these rosy projections I’ve been discussing today play out, when Trumpeters would end up validated as I’ll eat crow. We may soon see how it actually plays out. Honestly, I’m not holding my breath: Trump-is-hopeful,-but-some-skeptical-ahead-of-US-NK-talks. Also consider this: how-does-kim-tell-north-korea-hes-giving-up-nuclear-weapons. In such a world where everything falls our way, America & Trump would have to be extraordinarily lucky, but we’ll gladly take it if it gets America back on track. And should Trump become a successful president by having such positive outcomes occurring on his watch, I’d still consider him a shallow-minded dirtball on a personal level, but politically it would become more problematic to impeach &/or indict him after Mueller’s report comes out. It could also save the GOP for the midterms in spite of their shameless acceptance of demagoguery. But maybe we’ll soon get the best & worst of Trump. This could become the year this chaotic/conflated presidency accomplishes great things while proof of criminal activity is so strong as to force his constitutional removal. I think that duo-combo would be what’s best for America. Good or bad, there’s never a dull moment with this guy. Presidential historian Jon Meacham on Tuesday said that Republicans “sold their soul” to President Trump “and the check bounced.” “I think Republicans who are only now saying out loud what they had to know in their hearts, which was that ultimately this unconventional nominee — they sold their soul for power and the check bounced,” Meacham, who also serves as executive editor and executive vice president at publishing giant Random. The perspective from the Pulitzer Prize–winning author comes as the president is battling multiple controversies, including allegations of an affair by adult-film star Stormy Daniels and special counsel Robert Mueller’s continuing investigation into possible collusion between the Trump campaign and Russia during the 2016 presidential race. The Trump administration has also been plagued by high turnover, including the recent firing of former Secretary of State Rex Tillerson and the resignation of senior economic adviser Gary Cohn, among others. “They haven’t gotten what they wanted,” Meacham said of Republicans. “They have a Supreme Court justice [Neil Gorsuch], they have a tax bill, but you know what? One of those other Republican presidents who would be a more conventional and dignified figure would have given them that and they wouldn’t have to be pulling out of races saying that this president is untenable.” “So I think this late discovery of what should have been discernible is fascinating,” Meacham said.